The expansion of its brand with Ayam Brand Nutrition represents a new break-through for one of the most established and trusted brands in Singapore. 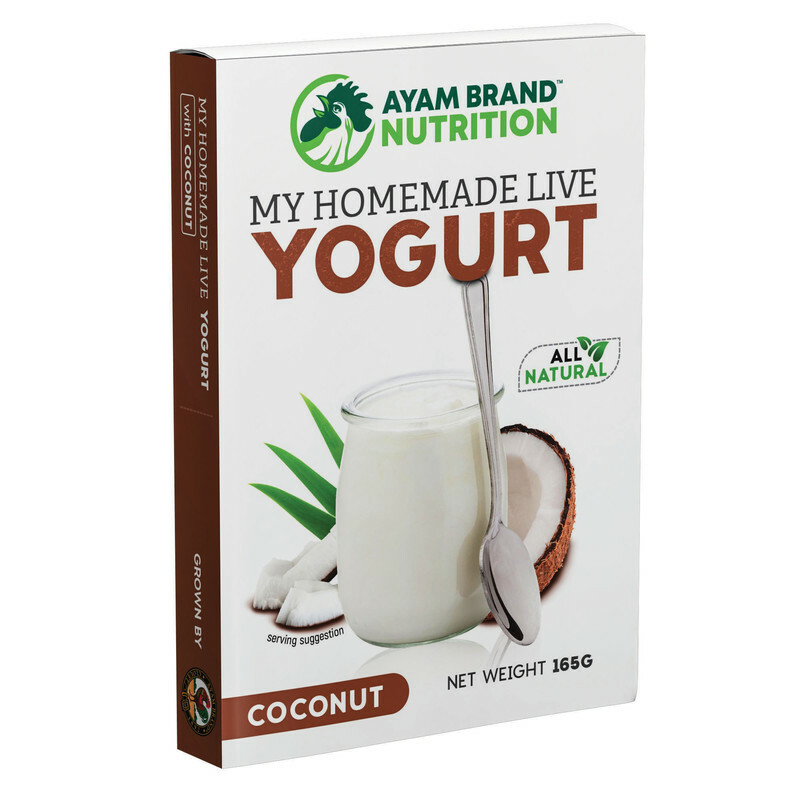 With the launch of its Homemade Live Yogurt, Ayam Brand Nutrition plans to distribute this nutritious product directly to the doors of its Singaporean consumers. Each 200g jar of homemade yogurt contains 80 billion live cultures (CFUs). It contains two different types of digestion-helpful bacteria: streptococcus thermophilus and lactobacillus delbrueckii subsp. Bulgaricus which are widely known to reduce bloating and constipation. What’s more, those also help to restore gut flora after a round of antibiotic treatment. Our immune system largely relies on the health of your gut thus daily consumption of yogurt is one powerful way to keep immunity strong. With its revolutionary approach: JUST ADD WATER, the yogurt is convenient to make at home, without the need to invest in one of those yogurt makers, or special containers. Consumers just need only need to recycle glass jam jars or drinking glasses. 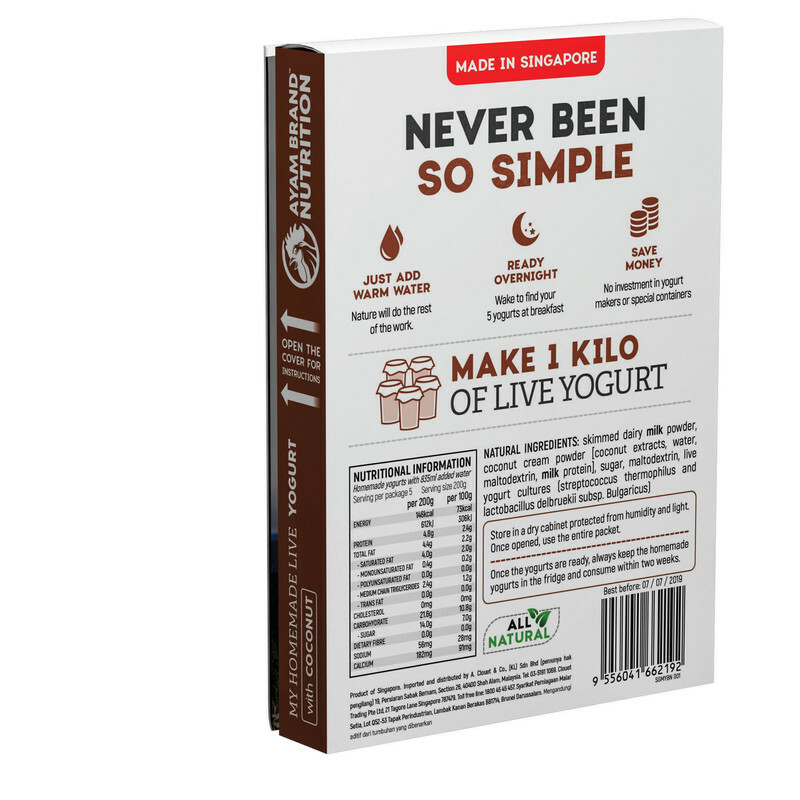 The yogurt powder comes in a 165g pouch which yields 1kg of yogurt that can be divided into jars. For its debut product launch, the product will be sold at $9.90 with free delivery island-wide! It also offers 6 week wellness package for regular consumption. 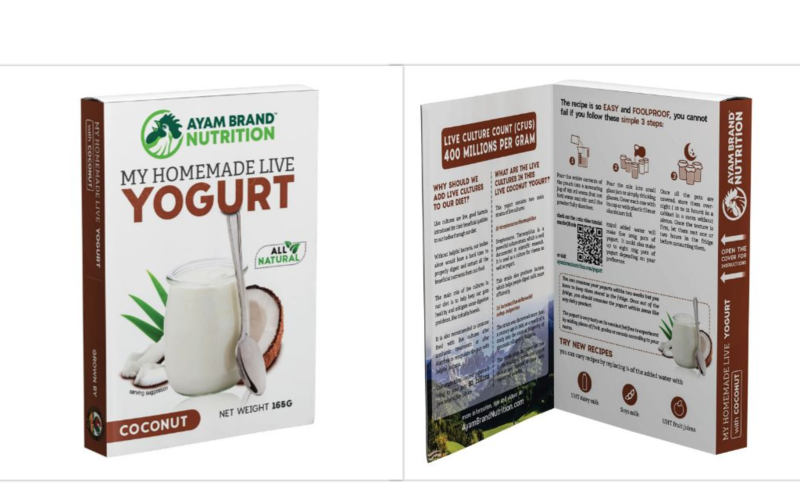 Consumers can get their hands on the product distributed exclusively online which is currently available on Ayam Brand Nutrition website, and subsequently on Redmart and Amazon. 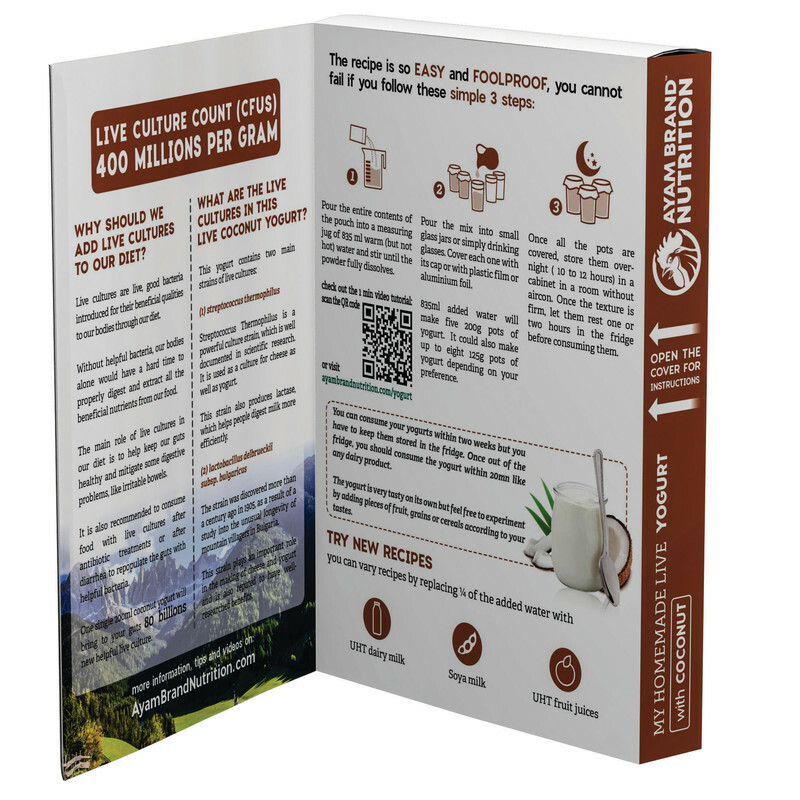 To learn more, visit our website to view the step by step videos: http://www.ayambrandnutrition.com. Furthermore, Ayam Brand Nutrition collaborates with MyKenzen (a nutrition service consulting company) in order to develop its products, and give advice to consumers if needed.